What is the maximum recommended speed? Avoid excessive speed as it increases wear. Cars not to exceed 30mph and commercial vehicles not to exceed 20mph . To see the list of distributors, click here. You can also purchase online. What is my AutoSock Size? Find your tire size and enter into our sizing chart to get your size. You can check out the video on how to install the proper size here. AutoSock is a textile tire cover that increases traction on icy and snowy winter roads. AutoSock is very easy and quick to mount and remove, significantly easier and faster than any metal snow chain. AutoSock is more effective than winter tires and are also more effective than snow chains in certain situations. They have been tested and formally approved by several leading car manufacturers and ToeV SoeD in Germany. 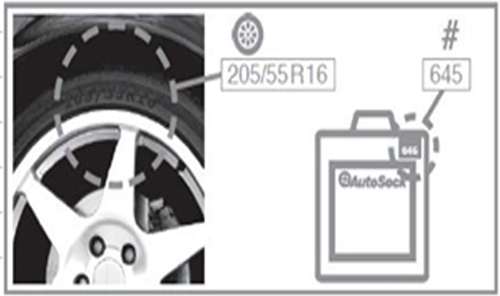 AutoSock can be mounted on summer tires and winter tires (with or without studs). It is well known that snow and ice sticks to textiles. AutoSock is made from 100% high-technology fibers. These fibers, which become hairier with use, are arranged in a specific pattern in order to optimize grip. The specially developed textile has the advantage of handling water film found between the icy and snowy road and the tyre, (generated for example by heat from the sun, or wheel spin), thereby maximizing the grip. Tribology is defined as the science and technology of interacting surfaces in relative motion and of the practices related thereto. In the case of friction on icy or snowy roads the upper surface is the tyre or AutoSock, the lubricant is water film created by frictional melting and liquid layer on the ice/snow, and the lower surface is the icy or snowy road. When the water film thickness is insignificant, we have dry friction; this is the case when braking a car at -20ºC. 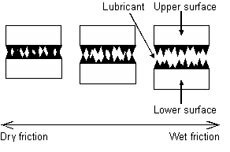 When the water film separates the two surfaces, we have wet friction; this is the case when a car water planes. AutoSock wants to have as large area as possible under the AutoSock with dry friction, since dry friction gives the highest friction coefficient. To some extent we have a trade off between good friction properties on snow relative to ice. It is favorable to open up the structure in order to increase the total contact area exposed to friction on snow. At the same time the contact points need to be sufficiently sticky on hard ice. The contact configuration of a tyre or AutoSock can be quite different on snow relative to ice. The upper figures show the contact configurations of a tyre on soft snow.The figure to the left simulates compaction resistance, while the figure to the right simulates impact resistance. The lower figure shows the contact configuration of a tyre on ice where the macroscopic impact and compaction resistances are negligible. The air gaps between: a) the sock surface and the icy or snowy road, b) the sock surface and the water film, c) the water film and the icy or snowy road surface. The interfacial contacts between: a) the sock surface and the icy or snowy road surface, b) the sock surface and the water film, c) the water film and the icy or snowy road surface. The dry friction process is dominated and characterised by accumulation of electrostatic charges in the slider contact points. 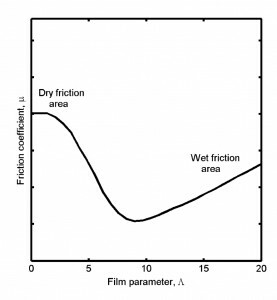 The frictional water film initiates discharge of potential differences between the slider and the sliding surface due to the much higher electrical conductivity of water relative to snow/ice. The topography of the slider and the sliding surface is decisive for the electrical contact configuration between the slider and the sliding surface. The electrolytic conductivity of a melted snow/ice sample may indicate the rate of ions introduced to the interface between snow/ice and the slider by frictional melting and thereby the rate and ease of discharge between the slider and snow/ice through the frictional water film during braking. Larger frictional electrification should take place on snow/ice with low electrical conductivity compared to snow/ice with high electrical conductivity. What is it like, driving with AutoSock? AutoSock does not have the loud rattling and the bumpy ride which you associate with snow chains. Because there is no danger of damage to vehicle structure, they are approved for speeds up to 30mph for passenger vehicles and 20mph for commercial vehicles; nevertheless your speed should always be appropriate for the weather and road conditions. Under what conditions can I use AutoSock? They will improve traction on snowy or icy surfaces. It is recommended that you take them off when you get back to road conditions where no snow or ice is present, e.g. dry or wet asphalt. During the approval test by TUV, AutoSock passed the distance and durability requirements of snow chain norm (-Norm5117) in addition to the durability requirements for Colorado DOT. Asphalt and concrete driving is not recommended as it increases fabric wear considerably. What do I do with the AutoSock after driving? They’re likely to be wet and dirty. Put them back in their storage bag – gloves are provided. When you get home, dry them and shake the dirt out. They are machine washable, but remember to put them back in the car for the next time! Do not leave on overnight or for extended periods with the vehicle parked. Can I use AutoSock on roads where snowchains are required? In the U.S., most states do not regulate traction devices for cars and SUVs. However, where there are traction laws in place, the AutoSock is approved. Check out your local regulations here. If my car has ABS, can I use AutoSock? Yes, AutoSock can be used with all electronic safety systems such as; ESP, ASC+T, ASR, and ABS. In difference to other traditional firction equipment, AutoSock improves the performance of the electronic safety systems as such. Do I need to jack up my car to fit AutoSock? No, just stop your car and engage the handbrake. Make sure the car is not in a slope during fitting. Pull the AutoSock over the driving tires and downwards as far as possible, and then move the vehicle approx. 1m, to pull the remainder into position. AutoSock will automatically become centered when you start driving. If you are stuck, do as above, but then make a small wheel spin instead of moving the car. For more info, check mounting instructions. Can I use my AutoSock to fit a different vehicle wheel size? Yes, this is no problem if the AutoSock you have match the tire sizes of your other vehicle. To find the right tire size click here. I have alloy rims, can I use AutoSock? Yes, AutoSock is 100% textile material and will not damage your rims. If my car has limited space between the wheel and the mechanical parts can I use AutoSock? Yes, AutoSock works even with vehicles which have low clearance between the tire and the body and between the tire and the suspension. How many AutoSock per bag? Each bag is a pair of AutoSock to cover two tires. These are mounted on your drive tires. My car is 4X4, 4WD, or AWD. Can I use AutoSock? Yes, place AutoSock on all four wheels. Variation between 4WD systems is large, some only send a fraction of the power to the front axle no matter what, so you want to make sure all the wheels are covered. My car has front wheel/rear wheel drive, can I use AutoSock? Yes, place the AutoSock on your drive axel. For front wheel drive, place on front tires. For rear wheel drive, place on rear wheels. Warranty: Disclaimer of warranties: The Products listed on this website are warrantied free from defects in workmanship and material for thirty (30) days from date of delivery to a user, provided the rules for using traction device are complied with. No other express or implied warranty of any kind whatsoever (including by way of example and not limitation, any warranty of merchantability or fitness for a particular purpose) is given and no affirmation of seller, by words or action, shall constitute a warranty. The above warranty is made only to the dealer, retailer, or other direct customer of McGee Company. McGee Company makes no warranty to any other ultimate user and prohibits the transfer of the warranty given above to its direct customer to any subsequent purchasers, including but not limited to ultimate user. Remedies: The buyer’s sole remedy for breach of any warranty is limited exclusively to obtaining, at the discretion of the seller, either credit, repair, or replacement of any product sold here under that was manufactured by McGee Company, which shall be returned to McGee Company Denver location, transportation prepaid within thirty (30) days after delivery to a user and within ten (10) days of discovery of alleged defect, and which McGee Company’s inspection shall determine to be defective. Buyer shall not be entitled to recover any special, incidental, or consequential damages. No material shall be returned without written consent from the McGee Company Denver location. Please contact the vendor you purchased AutoSock through for their exchange policies. If purchased from McGee Company within a year with proof of purchase, and item is in resalable condition McGee Company can exchange for another size. All Freight on Buyer and subject to inspection to determine if resalable and 25% restocking fee. Registered Visitor Cookie – A unique identifier given to each registered user, used to recognize them through their visit and when they return to the Site (see also Functionality cookies below). These cookies allow a site to remember choices you make (such as your user name, language, or the region you are in) and provide enhanced, more personal features. For instance, a site may be able to provide you with local information by storing in a cookie the region in which you are currently located. These cookies can also be used to remember changes you have made to text size, font, and other parts of web pages that you can customize. They may also be used to provide services you have asked for such as watching a video or commenting on a blog. We may use information collected from our cookies to identify user behavior and to serve content and information on products and services based on your profile. We may pass or share this information within McGee Company or with affiliates for marketing or analysis purposes. In most cases we will not be able to track individuals by name; only if you are a registered user we can associate the cookie information with your name.